"Game of Thrones" returns to HBO after taking a break over Memorial Day Weekend and fans cannot wait for the brand new episode entitled "The Mountain and the Viper" this Sunday. Ahead of the highly anticipated episode, "GOT" fans can have a taste of what is to come in regards to Sansa Stark since actress Sophie Turner opened up about her character this week. The 18-year-old Brit revealed insight to working on the set of "GOT" as well as clues about season four, which is quickly winding to a close. First, the actress revealed that her favorite scene ever filmed on "GOT" was one of her most controversial. "It's the one where I nearly got raped. Just because working with the stunt crew is so much fun and I got to slap and knock people around," Turner told JustJared.com. "That was probably the most fun out of all of them. 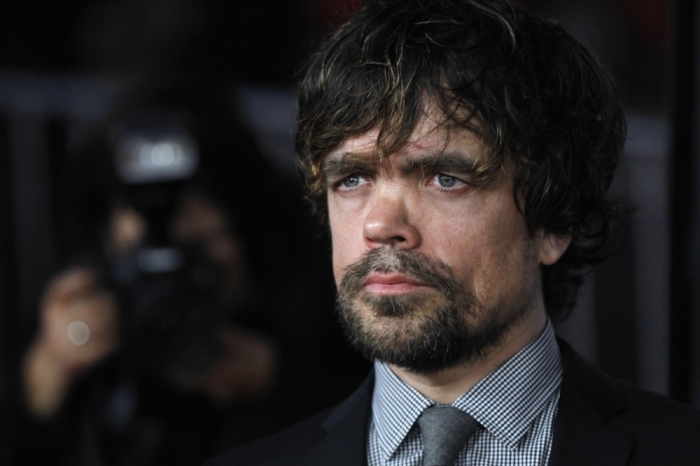 Then any scene with Peter Dinklage (Tyrion Lannister) is my favorite as well, because he's hilarious." Turner went on to discuss her onscreen husband Tyrion, portrayed by Oscar-winning actor Dinklage, and the prospect of her character possibly being forced to marry her 10-year-old cousin on "GOT." "I'm definitely not up for that, I'd rather stay married to Tyrion if I'm honest," she said. Furthermore, Turner gave some clues about the season four final while is set for June 15. "I can tell you that the end of the season … there's been peaks the whole way through, but the one at the end is spectacular," she told JustJared. "And it's one of those, like in the last three seasons you get chills at the end, but this one is actually really good because it takes the storyline to a whole new level of a particular storyline. And you're like 'WOW.' Then you can't wait for the next season." Turner added, "It's a hopeful turn. It's dramatic but it's like, for once 'GOT' isn't so depressing." Meanwhile, fans are especially looking forward to June 1's "The Mountain and the Viper" since it will reveal the fate of wrongly-accused Tyrion. In the last episode of "GOT," fans were left hanging after Tyrion made an unexpected ally out of Prince Oberyn Martell (The Viper). The Prince of Dorne offered to fight The Mountain in Tyrion's stead during the trial-by-combat- a scene "GOT" showrunners promises "delivers beyond expectations." "It's one of the best, if not the best- combat scenes we've done so far," executive producer Dan Weiss told Entertainment Weekly. "It's not just people hacking each other with spears and swords." "GOT" airs on HBO Sundays at 9 p.m. EST.